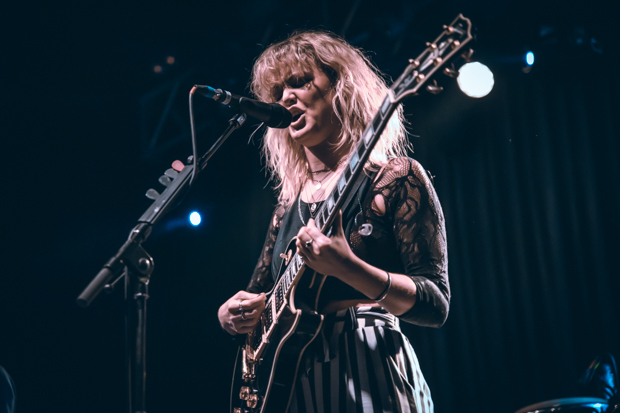 Fresh from a packed out festival season in 2018, and supporting the likes of The Vaccines and Albert Hammond Jr, Beth Lowen and her band – known altogether as LION – open up to a rapidly growing O2 crowd with their hard, bluesy, rock’n’roll style. 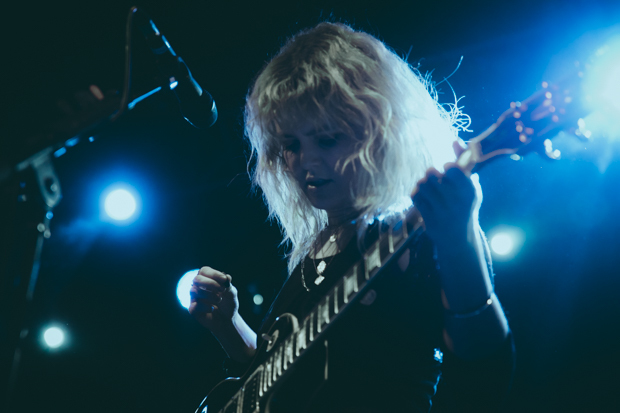 Lowen’s voice is raw and full of passion as she sings the lyrics of her new debut self titled EP, including popular songs including ‘Fiction’, ‘Oh No’ and ‘Self Control’. LION’s outstanding performance has sparked an agonising 30 minute wait for the O2 Academy, now bursting at the seams. 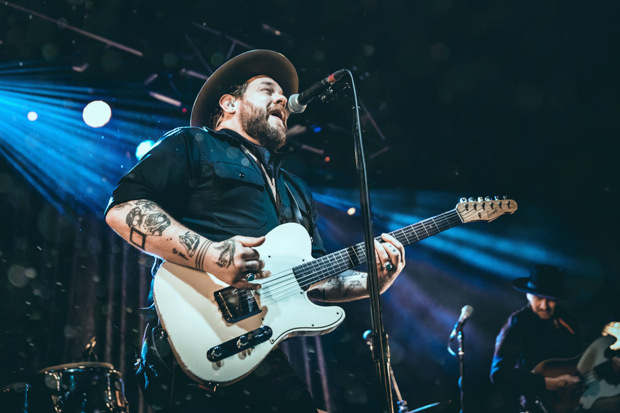 The lights dim and Nathaniel Rateliff & The Night Sweats grace the stage with their “mix of Sam & Dave, bit of honky tonk and working class soul”, and warm up the crowd with the first track ‘Shoe Boot’. Rateliff then follows with appealing hits such as ‘Be There’ and ‘Look It Here’. The tempo slows down for ‘Say It Louder’ and ‘Howling At Nothing’, where the crowd sing along to the chorus. 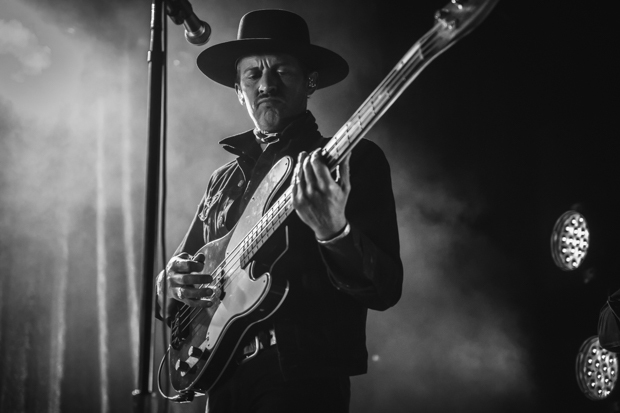 Rateliff holds the last note longer than usual, pauses, laughs at bassist Joseph Pope and guitarist Luke Mossman, and then finally lets the moment go with the lyric ‘Let You Go’. 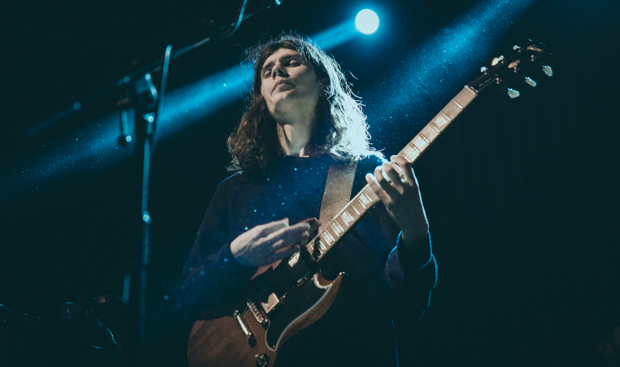 The band transcend into track ‘A Little Honey’, which blends in the slow, groovy tempo of ‘Shake’, with the band waltzing into what feels like their own bluesy jam session – heaven to the O2 ears. Suddenly the crowd wakes up to Patrick Meese’s (drums) sudden tempo change for ‘Out On The Weekend’. 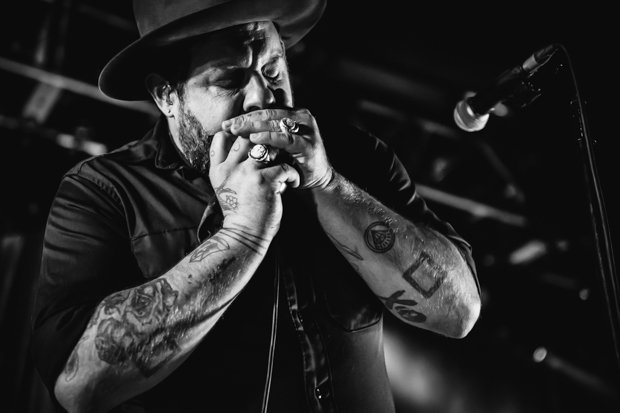 Mark Shusterman (Keys) shouts repeatedly and Nathaniel Rateliff responds by throwing his guitar backstage and proceeds to moonwalk across the stage. The crowd is absorbing every minute, dancing to every track – no wonder the O2 is sold out tonight, we are witnessing something amazing. 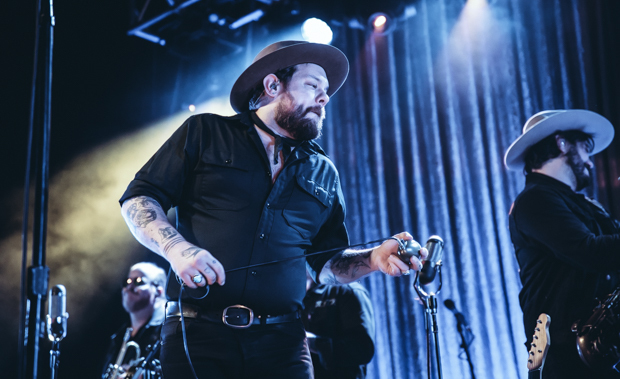 ‘You Worry Me’ is followed by a slow, melodic sax and trumpet solo, and ‘I Need Never Get Old’ – two big hits for Nathaniel Rateliff – but the crowd go wild for the final song of the set: ‘S.O.B’, where the crowd continue to sing its catchy ‘oohs’ long after the band have finished playing. 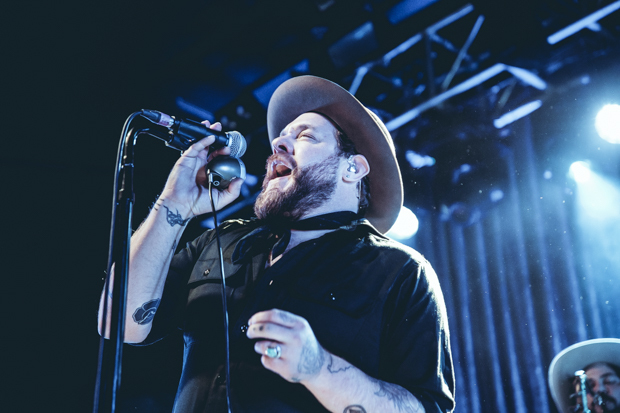 Rateliff performs ‘Hey Mama’ during his encore, before expressing a huge thank you to the crowd for supporting and getting him and The Night Sweats to this point. 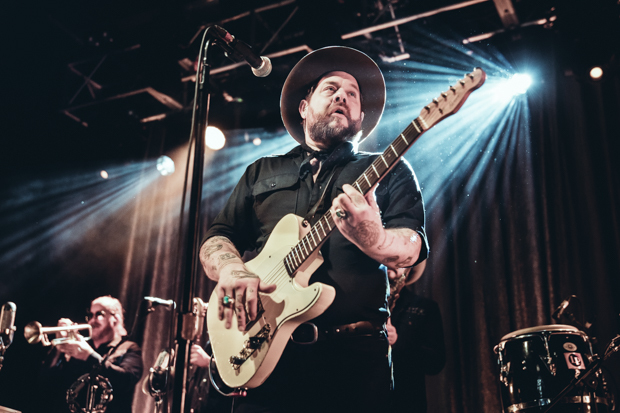 One of the best live gigs I have ever been to – you can’t help but dance to Nathaniel Rateliff & The Night Sweats catchy rock’n’roll soul music. If you get the chance to see them, don’t hesitate!